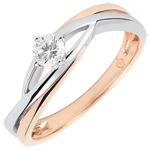 A solitaire diamond is embraced in delicacy and elegance. 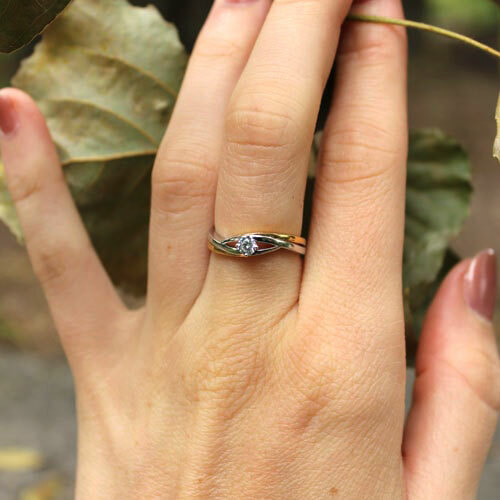 A delicate and feminine engagement ring. 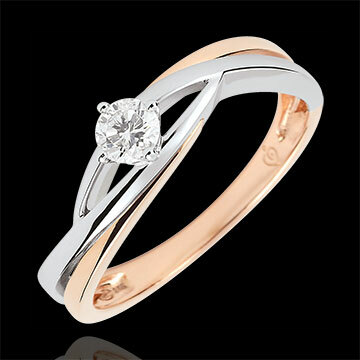 1 diamond : 0.15 carat - White and Pink Gold (18K Gold = 750/-): 2.51 g.